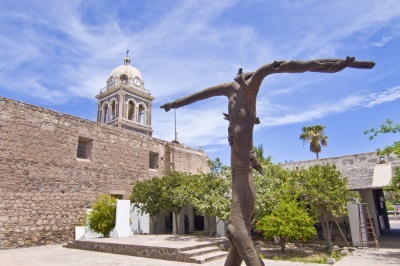 In the peaceful seaside community of Loreto, traditional plazas lead to the Misión Nuestra Señora de Loreto, founded in 1697. Tour the mission and its adjacent museum full of colonial-era religious artifacts. South of town, go golfing at Nopoló, described as the least-crowded coastal golf course in North America.